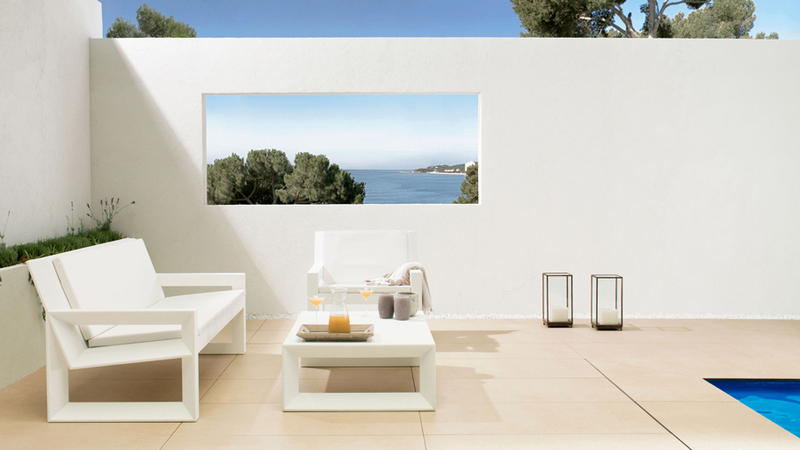 Being aware of the necessity to create highly secured and modern avant-garde outdoor spaces, Porcelanosa Grupo in its catalogue offers a wide range of suitable materials for terrace flooring and wall tiles, as well as for swimming pool constructions and their surroundings. 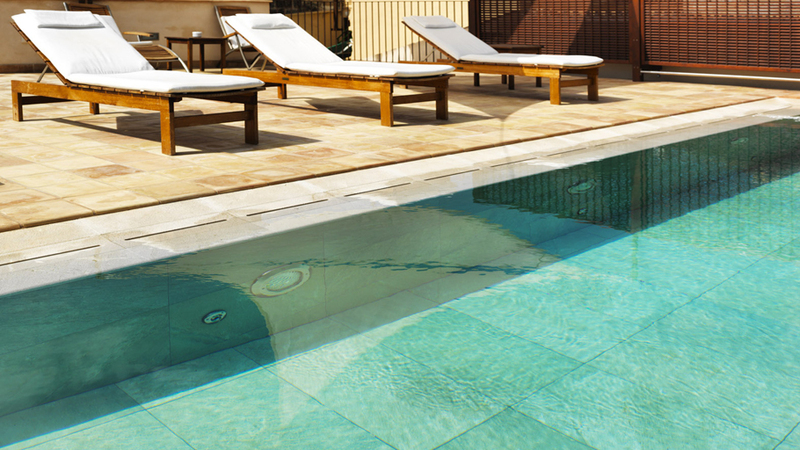 As far as its weight is concerned, its technical properties of resistance and water absorption as well as its easy-installation, and furthermore, when building the inner surface of a swimming pool, the best option turns out to be choosing a glass mosaic. L’Antic Colonial offers a wide range of this type of mosaics, with the choices of one colour or more, with edges or shading blends. 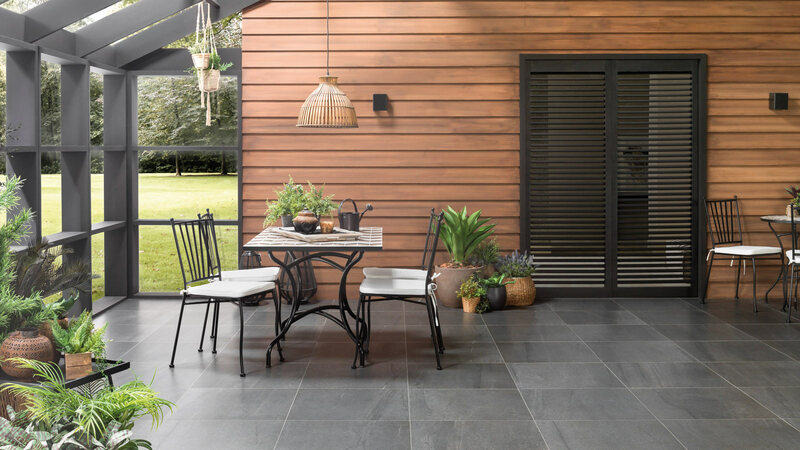 It is not very common, but with a warm sophisticated touch as well as innovative, it is the use of natural stone as flooring or wall tiles, as long as its technical properties permit it. 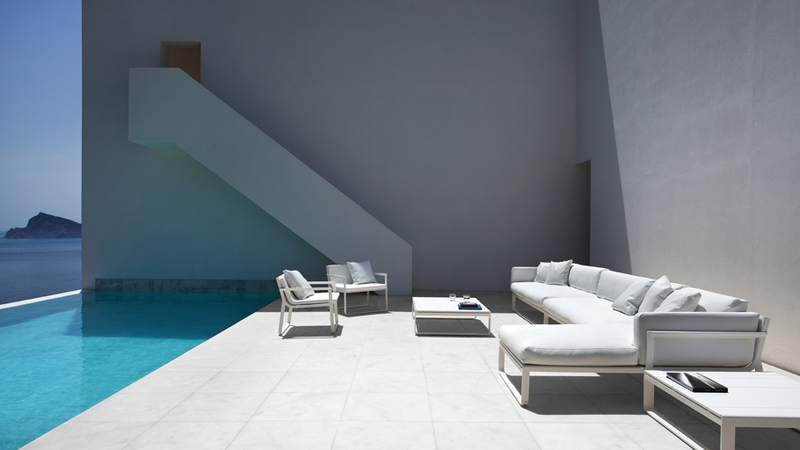 Renowned projects such as AIRE Ancient Baths wellness centre in New York, more classical-styled, or la Casa del Acantilado by Fran Silvestre Arquitectos, more modern-styled, both of them have made use of L’Antic Colonial natural stone for their spas or swimming pools. To be precise, Almería white marble by Porcelanosa Grupo was the material used in both projects, thus, providing them with a very impressive finish. 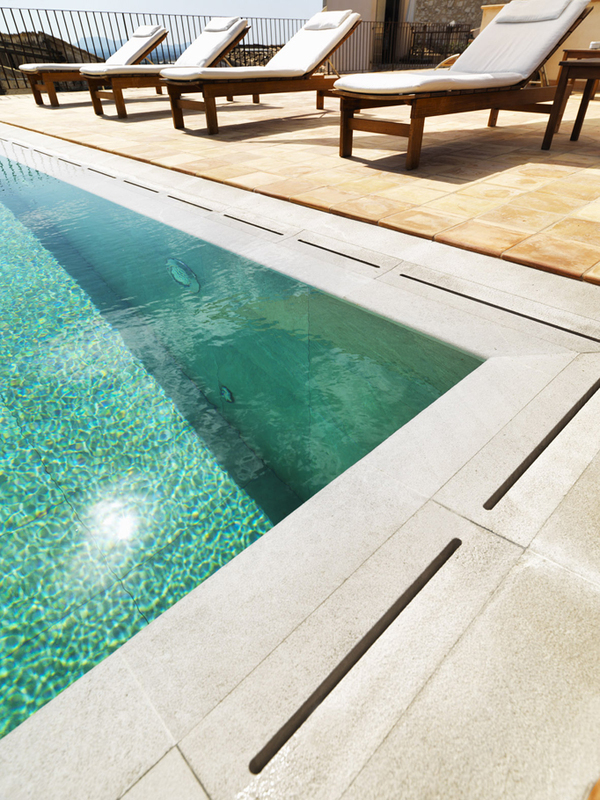 Venis also provides swimming pool wall tiling with the sumptuousness of its ceramics with a natural stone appearance. Madagascar series, for instance, turns out to be very appropriate for this kind of applications thanks to its hardness and resistance, as well as its humidity removal capacity. 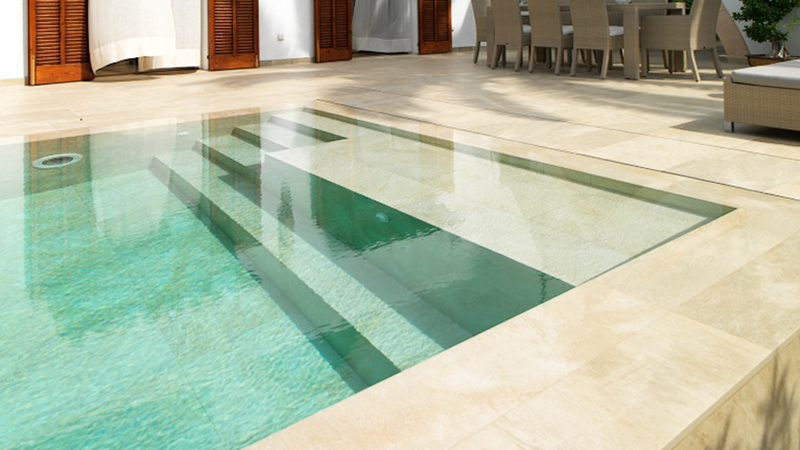 Not only is important to tile the inside of a swimming pool with high-quality and perfect spotless materials, but also to pave it with anti-slip flooring in order to avoid accidents. 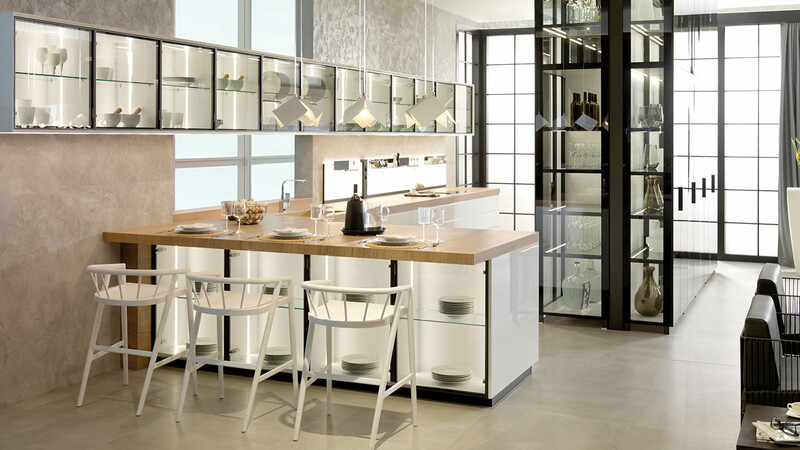 Porcelanosa Grupo also offers a wide range of materials suitable for these kind of humid areas, all of them with easy maintenance, cleaning and installation. 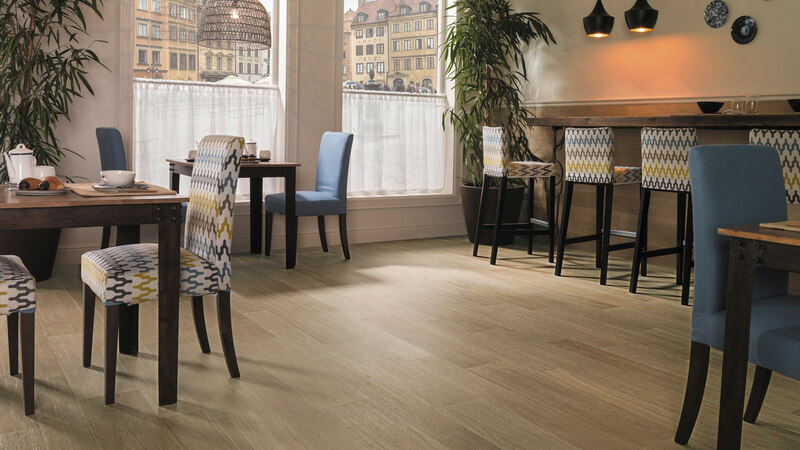 Based on Nanoker technology in its Antislip version, one can find the Par-ker® collection, with some models such as Oxford ceramic flooring by Porcelanosa. 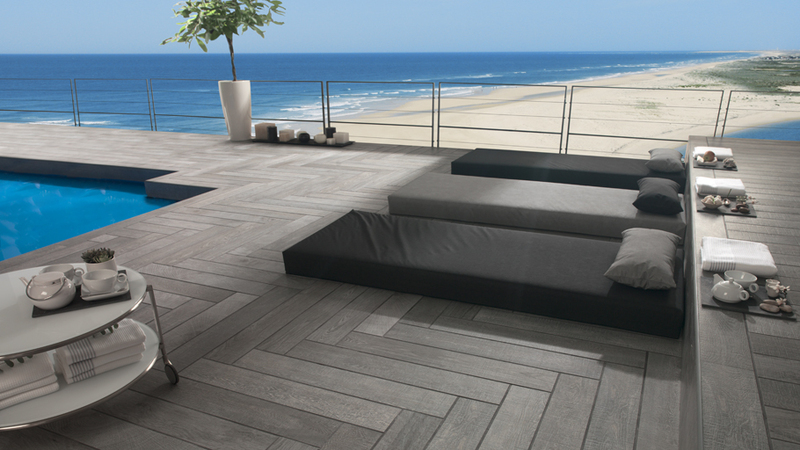 This format is highly suitable for tiling terraces so that a uniform texture is achieved on the tile surface. It requires little maintenance and its application turns out to be ultra-resistant and longer-lasting. 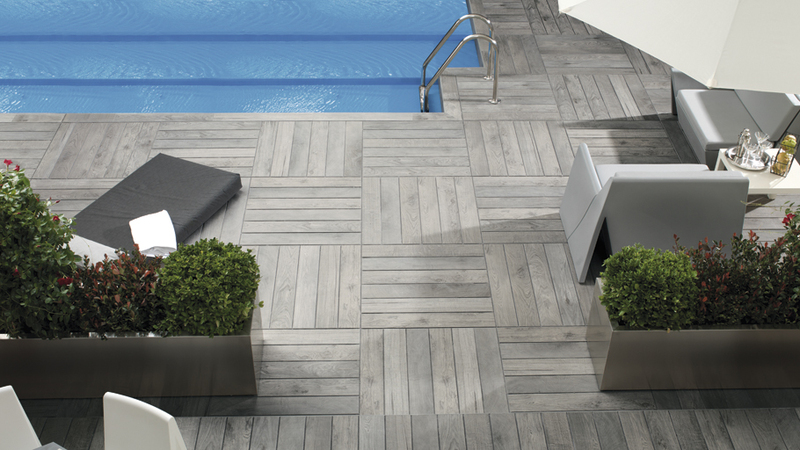 Another possible option is Urbatek trough-body porcelain tile flooring, such as the Stuc collection, in its Nature finish, offering the necessary resistance and safety in humid atmospheres. Furthermore, its high recycled material content turns it into an eco-friendly choice. 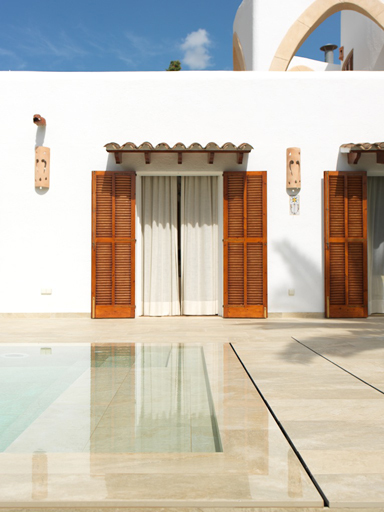 Aiming at achieving warmer and cosier landscaped settings, L’Antic Colonial offers its floors in 100% natural wood for swimming pools. Even though more specific care than with other materials is required, the sensations transmitted are really unique. 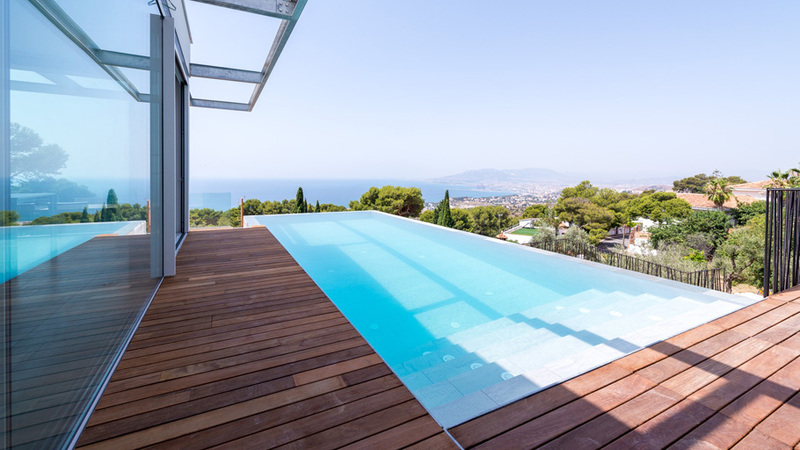 Apart from Ipe Iguazú outdoor decking, tremendous toughness and density, the firm also has more outdoor deckings, such as Styledeck Plus. Floors made of recycled PEFC wood and HDPE recycled material with which we can get our desired terrace.